What Should We Do With Confiscated Ivory? What do you do with six tons of crushed elephant ivory? Last November, the U.S. 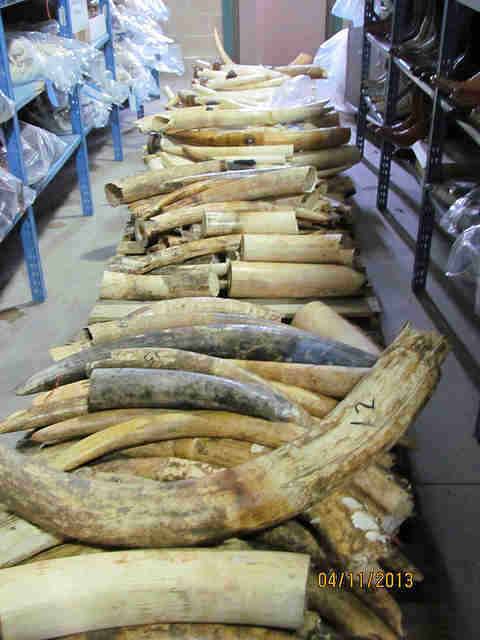 Fish and Wildlife Service (USFWS) held a ceremony to crush a whopping six tons of confiscated elephant ivory tusks and trinkets that were seized over the past two decades. As a gravel crusher reduced the ivory to tiny bits, politicians and conservationists praised the move, calling it "a signal out to the world that the U.S. has zero tolerance for poaching." The U.S. isn't alone, either - several countries, like France and China, have held ivory crushes in recent months. 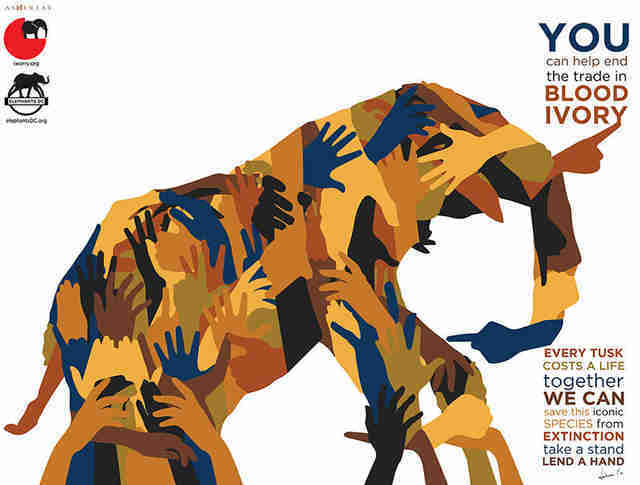 Now, USFWS has gone one step further, with the announcement of an "Ivory Challenge," a design contest calling for submissions of a "compelling, thought provoking, informative and impactful display to increase awareness about our fight against illegal wildlife trade." Design submissions should reflect the overall intent of the U.S. Ivory Crush – to render the ivory useless – so the ideal design will not glorify or add value to the crushed ivory. For example, creating beautiful, ornate sculptures of elephants from the crushed ivory is contrary to the objective of this design challenge. But at the very heart of the debate is this: should ivory, a product that was harvested by the killing of an animal, ever become art? Asher Jay, a conservation artist and National Geographic Emerging Explorer, thinks not. Ivory, she says, is a product of killing. And to attempt to turn that product into anything insightful or evocative is impossible. "I maintain that any use of the illicit contraband, no matter the reasoning behind it, is still an act of ignorance, which will perpetuate further ignorant use of said contraband," she told The Dodo. "Using the crushed ivory to educate people on why ivory should not be used sounds utterly counterproductive to every positive step taken by the U.S. Fisheries and Wildlife Service, whom I am otherwise in strong support of." If USFWS wants to make a statement that is creative yet not counter productive, then they should not allow for the crush material to take any visual, commercial form. This assigns new commercial value, even though that isn't what the USFWS intends with this challenge. We cannot control how other countries and existing buyers interpret this, we can only control how we dispose of the remains. The best stand we can take is to afford the same dignity of life and death we afford to our own kind; ashes to ashes, dust to dust. This way, as it would in nature, the animal's remains end up back in the earth. Jay argues that the contest does little to decrease the demand, and in fact could possibly provide an avenue for more ivory to sneak into the market if it wasn't carefully guarded. "Most importantly, not incinerating it, and allowing the crushed material to be cast into a sculpture or work of any sort will only create another loophole for other countries to exploit," she told The Dodo. "Instead of disclosing stockpiles, they can claim the entire stockpile was used to create a visual statement piece that allegedly educates and describes the horrors of the trade, all the while leaking shards back into the black market. 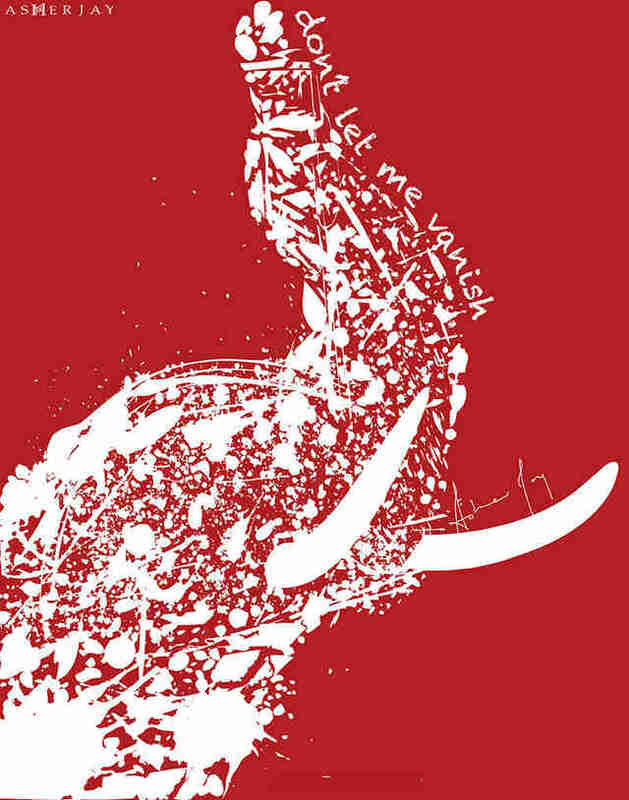 It creates a disastrous new narrative trend for tusks worldwide." Gavin Shire, Chief of Public Affairs for USFWS, told The Dodo that while he understands Jay's concerns, the agency feels that the contest, like the Denver crush ceremony, will be a way to educate people about the poaching problem that will last in perpetuity. "Built into the challenge criteria are specific instructions saying that the winning design will not create intrinsic value to the ivory - it needs to be educational opportunity," he said. 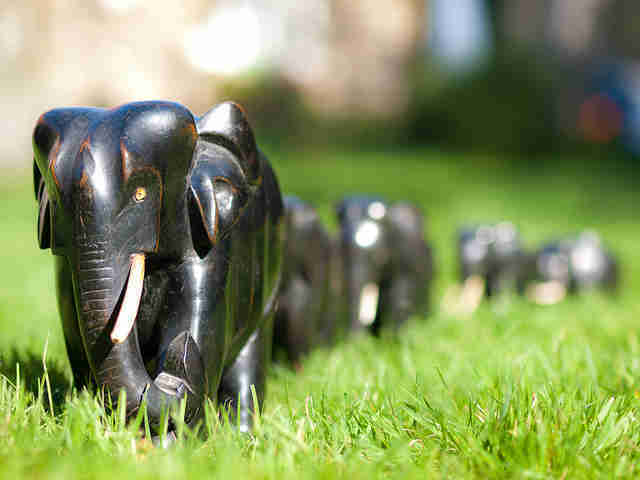 Shire added that there is little demand for crushed ivory, and that the winning design would be kept secure and out of the hands of traders after its creation. "There's something visceral about seeing the animal product that brings home what consequences are rather than just talking about it abstractly," Shire said, addressing Jay's concern that using animal parts in art isn't a good way to pay reverence to them. "The most important thing is that elephant ivory is permanently removed from any marketplace and any installation using the crushed product represents a sobering reminder of the impact of global shortsightedness in not maintaining a consistent uniform ban on ivory trade. 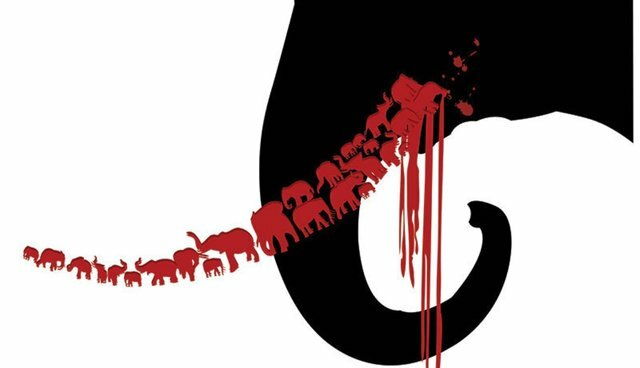 In thinking about this "contest," it seems that the outcome should resemble the Vietnam War Memorial or another stark depiction of the lives lost for the ivory contraband."